A short extract from the evolving dissertation currently being produced by Gavin Michelmore. Dr Dhriti Lahiri-Chourhury, an eminent Indian academic as well as a leading elephant expert, wrote recently: Ít is difficult to image India without elephants; they are so much a part of India’s myths, history and cultural heritage.’ This is surely true on a world scale, and so it is not surprising that there has been a groundswell of public indignation at the massacre being perpetrated by ivory poachers in Africa. It is impossible to have anything to do with elephants without being fascinated by them. My good fortune has been to see them in the wild and in captivity in Africa. The slaughter for ivory is senseless. It is killing the goose that lays the golden eggs, because, if elephants are wiped out, ivory will no longer be produced. But equally grave is the problem of ensuring peaceful coexistence between such large, wide-ranging animals and people in our every more crowded world. It is truly a ‘jumbo problem’, and I pay tribute to all those involved in trying to solve it. The modern view of the elephant is varied: to some it is a magnificent animal, symbolic of the world’s wild areas. To others it is a work animal, capable of amazing feats of strength; others regard it is a source of ivory, hide and meat. Some may even view it as a rather ridiculous animal, fit only for eating buns at the zoo or performing tricks at the circus; while others may see it as a serious agricultural pest. Whatever the view, it is evident that, as humans take over elephant habitat, the interests of both animals need to be reconciled. Elephant spend most of their lives grazing and browsing in order to maintain their enormous bodies. If confided to a small area, they rapidly destroy all vegetation. They then starve to death. Thus they need a great deal of living space. Geneticists estimate that at least 500 inter-breeding animals are required in any area to maintain the natural evolutionary potential of a species. Five hundred elephants would require living space covering anything from 500 to 5000km (190to 1900sq miles), depending on how much elephant food was available. Virtually no area of this size can be left solely for elephants in a world ever more crowded with people. Coexistence between humans and elephants is inescapable, but this has its problems. Agricultural crops, such as sugarcane, rice and oil palm, are extremely attractive to elephants. Herds can devastate them in a few hours, perhaps ruining a small farmer and posting serious financial problems for plantation industries. It is important, therefore, to plan and manage elephant reserves in a way that will minimize conflict between people and elephants. Elephants inspire both affection and awe. Despite their amiable appearance, they can be dangerous animals. Possessing immense power, they are intolerant of disturbance and opposition. In India alone, 200 or more people are killed by elephants each year. On the other hand, they are capable of surprising sensitivity in their movements. A lone wild male at Mana Pools, in Zimbabwe, regularly walked through a tented camp, stepping delicately over guy ropes and causing little damage. He completely ignored the campers, who were frozen with apprehension at their picnic tables. In India, local people welcomed a herd which moved recently into Andhra Pradesh State, where there had been no elephants for many years. They saw the elephants as a manifestation of the elephant- headed Hindu god, Ganiesh. Despite the fact that they were aggressive and killed people. Some of the people were killed because they went too close to the elephants to worship them. It is a remarkable phenomenon that such a powerful animal should be so easy to tame. Within a short time, a captured wild elephant is capable of learning commands and applying its strength and skills in the service of humans. For several thousand years it has been used for transport, war and ceremonial. For more than a century, it has been a key worker in the timber industry. But, in all these spheres, the elephant`s role is declining or has already gone. Emperors, kings and maharajas no longer exist to maintain vast elephant stables for their armies and ceremonies. Internal combustion engines power transport in almost every type of terrain. And while thousands of elephants are still employed in the forests, mainly in Burma, their tasks of moving and loading logs are being taken over by machines. Zoos and circuses can support only a limited number of elephants. They are expensive to maintain. Probably no other wild animal matches the popularity of the elephant. A leading British Economist, uninvolved in nature conservation, wrote to the chairman of the world wide fund for Nature, the last Sir Peter Scott: II have never seen them, but it makes me happy to think that there are still wild elephants in Africa and whiles in the Southern Seas. [‘But, if elephants are to survive, they need the support of the people who live among them, as well as of all those who believe that, without elephants, the world would be a poorer place. Elephants are endearing in their close social organization and their obvious affection for each other. In the past, it was assumed that the heard consisted of a bull accompanied by his harem and their offspring. However, some hunters and others familiar with elephants in the wild suggested that the herds were led by females. It was only 25 years ago that a young Scotsman unravelled the truty about elephant life. In the mid 1960s, Iain Douglas-Hamilton went to live with the elephants in Tanzania’s Lake Manyara National Park. Day after day he followed them, observed them feeding, resting and drinking, and learned to recognize individuals by the shape of their tusks and the ragged edges of their ears. He soon established that herds were family groups, led by an older female. Her companions were sisters, daughters, nieces and their off-spring. Males in the herds were young. As they matured they left to live alone or with a few temporary companions. Douglas-Hamilton’s studies were followed by other scientists. Some have now spent much of their lives with the elephants of a particular area, and got to know each individual. They have watched matings, births and deaths, and thus been able to build up family histories. Family groups are stable. They may split into sub-units, specially during the dry season, when food is scarcer and more scattered, but the family tie remains and all rejoin the herd from time to time. A nucleus group usually numbers fewer than 10, but when the whole family gets together there may be 40-50. Even larger gatherings of elephant clans, numbering a hundred or more, occur. The matriarch is absolutely dominant, and obedience comes naturally to her herd. She is usually recognizable as the largest in the herd, because elephants grow throughout their lives she will be the oldest. Now in her fifties or sixties, the matriarch is the repository of the herd’s wisdom. From long experience, she knows when and where the trees are fruiting, or the grass is lush; where there is water to drink and to bathe in. 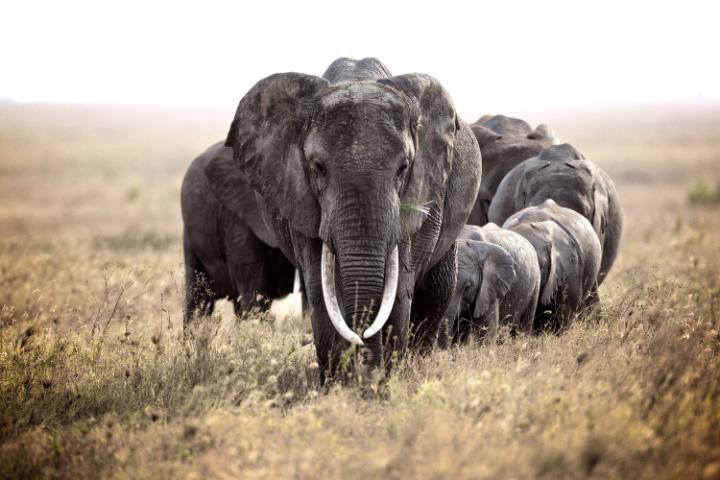 She leads the herd along traditional routes that have been trodden by many elephant generations. The herd follows her obediently. At a water-hole, they enter the pool together, and leave together. Stragglers are unusual. She is fiercely protective, and is in the forefront if any threat emerges to the herd or an individual member. Scientists have found that the matriarch will usually not let them near to a junior member of the herd that they have tranquillized. Other herd members will back her defiance. But if they matriarch herself is tranquillized, the herd loses its coherence and fails to come to her defence. At the death of the matriarch, her role as leader is taken on by another experienced female. This may mean that her particular family merges with a sister group. When the male mature they leave the female herd to form loose company-able groups, which are not permanent. A bull may wander away from a group to join another or remain solitary for a long time. No other animal has had such a close relationship with people as the elephant, and still remained wild. Although never domesticated in the same way as the horse, it has been tamed and used as a beast of burden for thousands of years. Carved seals from the Indus Valley civilization, which thrived in the Indian sub-continent 4000 years ago, show elephants with cloths flung over their backs, indicating they were tamed. Tribal people in India and other parts of Asia had probably subjugated elephants even earlier. Knowing of the ease with which elephants can be controlled, it is possible to imagine stray calves being adopted and then put to work. The Vedas, ancient Hindu writings from between BC 1500 and 1200, already mention tamed elephants. At first, they were called ‘wild beast (mriqa) with a hand (hastin) and later, just hastin. To this day, elephants are called ‘hathi’ or ‘hasti’’ in India and Sri Lanka. Prehistoric artefacts show that Stone Age people already appreciated ivory. It is easy to imagine them round a camp fire whittling interesting forms from the tusks of a mammoth killed for food. They became highly skilled carvers, and their products represent the earliest known sculpted work of humans. Female figurines in ivory from 25,000 years ago have been found across Europe and northern Asia, from France to the heart of Siberia. Scholars named the squat but intriguing figures ‘venuses’, and suggested that they represented a mother goddess of fertility. One tusk fragment from St Germain in France has a mammoth carved on it. Huge amounts of mammoth ivory still exist. Basset Digby a fellow of the Royal Geographical Society, visited the New Siberian Islands before the Russian Revolution. He reported that, every spring, the melt waters eroded cliffs and river banks and caused landslips, revealing tusks. He saw a hunter’s hoard consisting of ‘mammoth tusks by the dozen, by the score – hundreds and hundreds of them, cairn upon cairn, stack upon stack. Tons and tons of prehistoric ivory.’ Among them he found a monster tusk of 3.9m (12.8ft), and several nearly as long. The Yakut people used mammoth ivory for such mundane things as pipes, fish hooks, harpoon and arrow heads, in addition to crude figurines and caskets. Considerable quantities of mammoth ivory are still marketed by the USSR. Carvers in Egypt were already turning elephant tusks into images of lions and baboons before the time of the pharaohs. With elephants easily available in Sudan and the Horn of Africa, as well as in Syria, ivory was widely used during the 3000 years of the pharaoh dynasties. Among the many examples of Egyptian ivory work is a 2900-year-old ivory statuette of Cheops, whose tomb is the Great Pyramid, near Cairo. The remains of the other ancient civilisations, such as the Assyrian, Etruscan, Hittite, Minoan, Mycenaean and Phoenician, include much evidence of the use of ivory. Elephant ivory has been called ‘white gold’’. Its beauty lies in its texture. Essentially it is just a prolonged tooth composed of dentine, not very different from those of humans. However, only the tip of a tusk has enamel, which soon wears off. The tusk has a tree-like bark, which the carver removes. Elephant dentine is compact and laid in successive layers throughout life. Exceedingly fine tubes spiral through the tusk, giving it high elasticity. In minute spaces between them there is organic matter, which makes the ivory easy to work and to polish. Ivory from different areas varies in hardness, translucency, ability to withstand temperature changes without cracking, and tendency to turn yellow. The ivory of African bush elephants is soft compared with that of the forest elephant, and tends to have lateral lines. Sperm whales, narwhals, walruses and hippopotamuses also have ‘ivory’ teeth, but they lack the special qualities that make elephant ivory so esteemed. Only gold, also easily worked, has equalled ivory in human esteem. They have frequently been combined in works of art. The Ancient Greeks covered monumental statues of Zeus and other gods at Dephi with ivory plates, which were then ornamented with gold and gold leaf. The art of ivory carving reached its peak in China. Handed down from father to son, it survives today, despite the migration of many skilled people to Hong Kong during the upheavals which have convulsed the country during this century. Guangdong craftsmen recently carved 41 concentric balls of depicting a classical story of the lady Chang-o who flew to the moon in search of immortality, and returned to Earth with her fairy maidens. Present-day Japan is the world’s largest user of worked ivory. More than half is carved into personal seals or inkan, which represents a person’s or a company’s signature on documents, such as bank cheques and legal contracts. Among several types of seal used for different purposes, the most important is a person’s jitsuin, which is registered with the government as an official mark on coming of age. It is estimated that at least 70 million ivory inkan are in existence, and that 2 million are produced every year. In Sub-Saharan Africa, people lived among millions of elephants. Even without the ivory taken from elephants hunted for meat, there was plenty available from those that died naturally. People wore ivory bracelets, earrings and necklaces. Tusks were even used in quantities to make fences. While traditional ivory carvers in Africa and Aisa continue to produce works of art, demand for souvenirs by millions of tourists has promoted crude work. Shops around the world are now filled with knink-knacks of little or no artistic value, this sad development comes at a time when the ivory trade and the greed of speculators are encouraging massive poaching, which threatens the very existence of elephants. In Southern Africa, immigrant Dutch farmers and French Huguenots found a wildlife paradise, with abundant elephant herds. Hunting ivory as they pressed northwards to establish settlements, they had almost wiped out elephants south of the Zambezi by 1900. Ox carts carried the tusks to the ports. 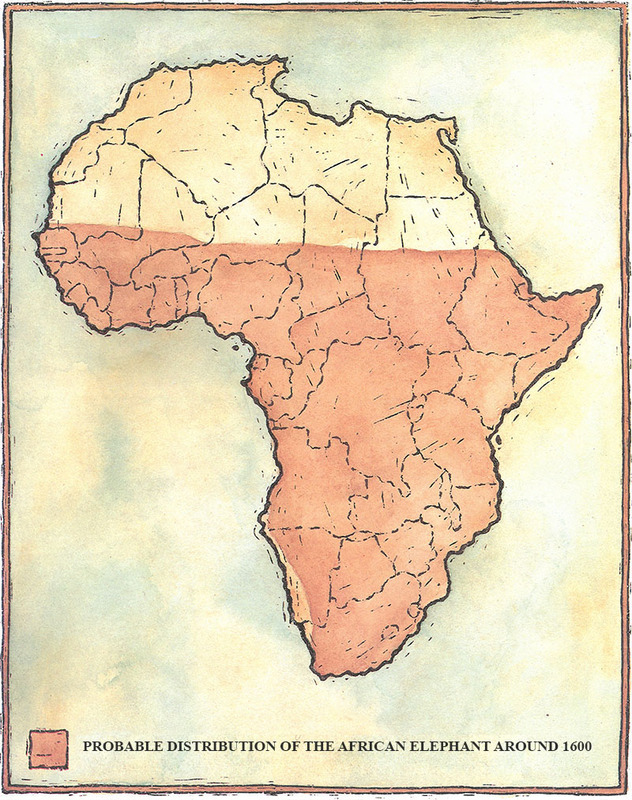 By the end of the nineteenth century, the European powers, represented at first by pioneering traders and explorers, had established their vast African dominions. The slave trade had ended, but the ivory trade flourished. London, the main trade centre for most of the century, was overtaken by Antwerp when King Leopold established the Congo Free State and harvested the ivory from its teeming elephant population. When World War I broke out in 1914, the ivory trade was at its height, with 1000 tonnes leaving Africa annually. This could have involved the deaths of 50000 elephants a year. The four-year conflict virtually destroyed the trade, which was not to return to comparable levels for some 60 years. Ivory was still in demand for knife handles, billiard balls and similar mundane uses, but, in general, it fell from public esteem, like many pre-1914 fashions. Ivory slowly returned to favour after World War II. In 1950 recorded world imports totalled 28.72 tonnes. Three years later, they had risen tenfold. Imports continued to increase over the next 20 years to reach 485 tonnes in 1964, 537 tonnes in 1967 and 631 tonnes in 1970. In 1973, the US government abandoned the gold standard for the dollar. Gold prices, which had been rising since before World War I, shot up. The price of ivory per kilogram nearly doubled. Ivory imports in that year rocketed to 1,236 tonnes. People were turning to traditional havens for their fortunes in the face of financial instability and worldwide inflation. People were turning to traditional havens for their fortunes in the face of financial instability and worldwide inflation. In Africa, Indians, who had long controlled the ivory trade, were forced to leave newly independent countries. Many invested their personal fortunes in ivory in order to transfer them elsewhere. Africans took over the trade with demand soaring and high rewards offered, poachers launched a massive offensive on Africa’s elephants. ‘White gold” was now truly to become ‘bloody ivory. First to suffer were easily available herds on the open plains of East Africa. In Kenya, poaching and a severe drought wiped out more than half its elephant population between 1970 and 1977. There were still some 65000 elephants in 1981, but by 1987, the number had dropped to 21,000. The poaching wave swept southwards through Africa. Northern Tanzania followed Kenya and Uganda. It still had over 200,000 elephants in 1981. Since then poachers have killed half of them. In Lake Manyara national Park, where Ian Douglas-Hamilton unravelled the social organization of elephants in the 1960s, only four females aged over 30 remained in 1989, compared with one or more older females in three-quarters of the herds in 1980. As elsewhere, the older elephants with the largest tusks were gunned down. Further south, the poachers attacked Zambia’s plentiful herds. In the six years between 1981 and 1987 the elephant population was reduced from 160,000 to 43,000. Zaire and Congo are the strongholds of the forest elephant. The dense habitat has made population census near impossible, and most estimates are little more than intelligent guesses. Nevertheless, the flow of distinctively hard ivory from the forest elephant reaching international markets has provided evidence of heavy poaching. It was not until 1989 that the Western world and Japan finally shed their indifference to the massacre being enacted in Africa and Asia. Only then did the governments propose a complete ban on the ivory trade. A new chapter in the story of elephants and ivory was opened. Fear that elephants could be hunted to extinction has only become acute in the past 20yeasr. A decline in the ivory trade from 1914 until after World War II allowed elephant populations in Africa to recover from the effects of decades of hunting. In Zimbabwe, elephants were well protected. Their numbers increased tenfold in 70 years. By the 1960s, the number of elephants in some parts of Africa even appeared excessive. In Kenya’s 20,700-km (8,000-sq. mile) Tsavo National park, 20,000 elephants were destroying the trees on which they and other wildlife depended. Acute droughts exacerbated the damage. 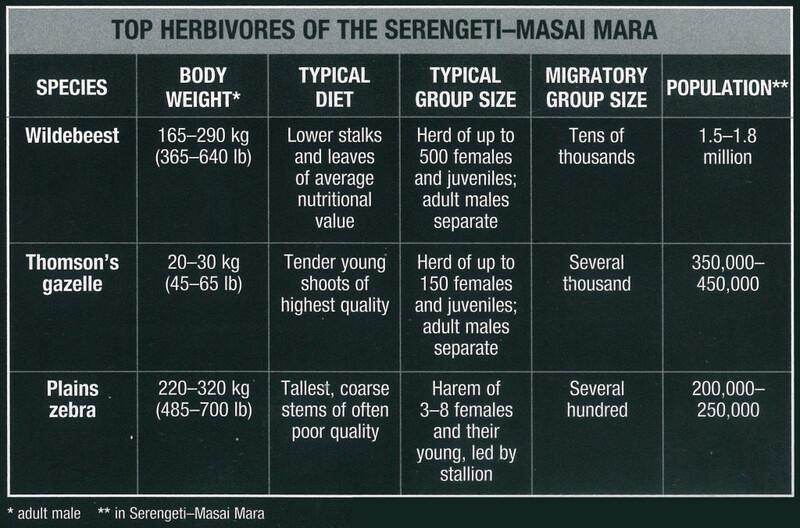 Many animals, including 330 black rhinoceroses, died of starvation.. 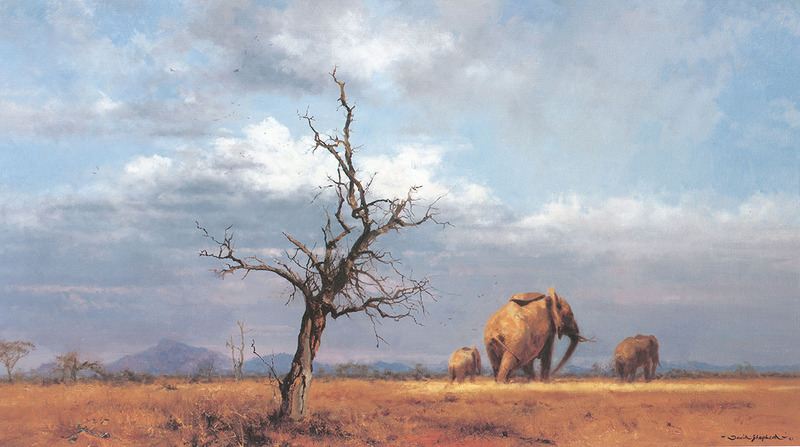 Fears arose that the elephants were turning Tsavo into a desert. Three hundred were shot for examination by scientists studying the Tsavo problem. They recommended that 2,700 more be eliminated to lessen pressure on the vegetation. In the event, poaching solved any problem of overpopulation of elephants in Tsavo. It was one of the first areas hit in what was to become a continent-wide offensive against the elephants for the sake of their ivory. Elephant specialists were handicapped in warning governments of their concern, because no one knew how many elephants there were in Africa, and even exactly where they were to be found. Poaching was clearly reducing numbers in some places, but in others there appeared to be more elephants than ever before. Without details of numbers in various regions, it was impossible to assess population trends. It may seem strange that the numbers of such a large animal were not known. But elephants are spread over a vast area, wehre a physical count is impossible. In open country, such as savanna and light woodland, aerial counts of elephants in selected areas can be made. Densities in various types of habitat are then calculated, and the results extrapolated for larger areas. Even then, many elephants may be missed and allowance has to be made for a wide margin of error. Moreover, at least a third of Africa’s elephants live in dense equatorial forests, where they are seldom seen. Scientists are still striving to find methods of counting them to improve on intelligent guesses. 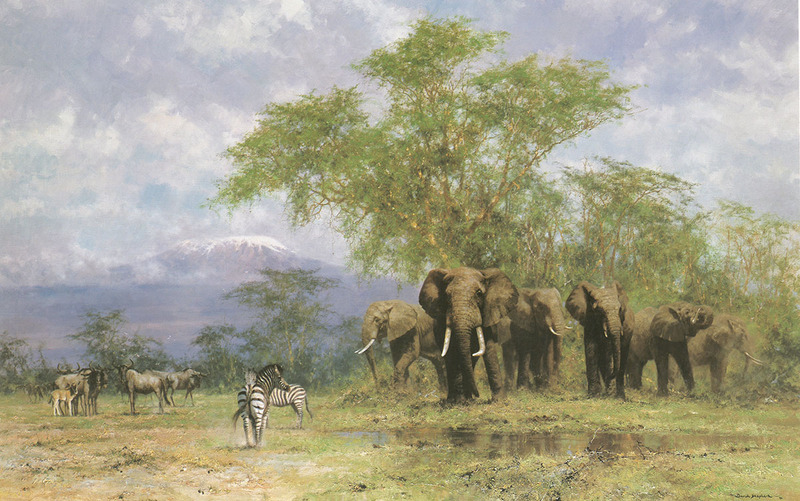 By the mid-1970s, alarm became more widespread as ivory flooded out of Africa and the price rocketed. IUCN, with support from WWF, commissioned a pan-African elephant census by its newly established African Elephant Specialist Group. The Chairman, Iain Douglas-Hamilton, who had been among the first to raise the alarm, criss-crossed the African plains in his light aircraft, counting elephants where they were visible. Simultaneously, he questioned governments and wildlife specialists to obtain local information. In 1979, he estimated a total of 1.3 million elephants in Africa, far more than anyone had thought. Nevertheless, Douglas-Hamilton declared that numbers were declining and that African elephants were threatened by the ivory trade. Not everyone was willing to accept this conclusion. Ivory specialist Ian Parker prepared a detailed report on ivory continued to pour out of Africa during the 1980s, despite a drop in value. In 1983 exports again matched the 1,000 tonnes of 1973. The full significance of this for elephants became clear from measurements of the average tusk weight in the major market of Hong Kong. 9.65kg 921.28lb) in 1978 it declined to 5.39kg 911.9lb) in 1982. From this it could be calculated that the 1,000 tonnes exported in 1973 probably represented the death of about 55,000 elephants. But nearly 100,000 must have died to produce the same gross weight in 1983. Poachers were increasingly slaughtering females and immature elephants with small tusks. Observers flying over the African plains sometimes saw more carcasses than live elephants. As concern grew, the secretariat of the Convention on International trade in Endangered Species of Wild Fauna and Flora, known as CITES, now commissioned a new study of the ivory trade by Rowan Martin of Zimbabwe’s Department of National parks and Wild Life Management. He put the total number of elephants in 1986 at about 1 million, and calculated that Africa’s elephants could sustain an annual harvest of 750 tonnes of ivory a year if they were efficiently managed. In the existing situation, when very few elephant populations were managed at all, he estimated the sustainable harvest at only 329 tonnes a year. Yet in that same year newly 800 tonnes of ivory reached world markets. Fortunes could be made from ivory at every level, from the poacher in the field, through chains of middlemen, to the big importers in centres like Hong Kong, Singapore and Japan. Because the trade was officially controlled by permit under CITES, shipments of illegal ivory accompanied by apparently legal documents could double the value. Smuggling, forgery, bribery and corruption spread throughout Africa and wherever ivory moved. It reached the highest levels of government. The most notorious country was Burundi, a tiny state in Central Africa, whose only elephant was in a zoo. Burundi is ideally placed, close to the borders of the countries with Africa’s largest elephant populations. It became a channel for illegal ivory. Early attempts by CITES to block the Burundi trade failed because Japan continued to allow imports, mostly via Belgium. Tanzania and Kenya took the lead. Alarmed by their rapidly diminishing elephant populations, they proposed a ban on all international commerce in ivory. The World Wide Fund for Nature gave its full support. The president of Kenya, Daniel Arap Moi, dramatized the situation by publicly setting fire to 12 tonnes of tusks, worth 2.5 million on the international market. The hardest hit country for elephant poaching has been Tanzania. In 2009, the total elephant population in Tanzania was 109,000. In 2014 (5 years later), this population had been depleted to a total of 43,000 elephants. This is a staggering decline of 60%. If that does not stir all readers with great sadness, then what does? A total loss of 145,000 – a 30% decline. Strong opposition came from countries in Southern Africa with thriving elephant populations. Zimbabwe kept growing numbers in check by culling to a level consistent with the vegetation available. Ivory and hide were legally exported in return for hard currencies. Local people received elephant meat. 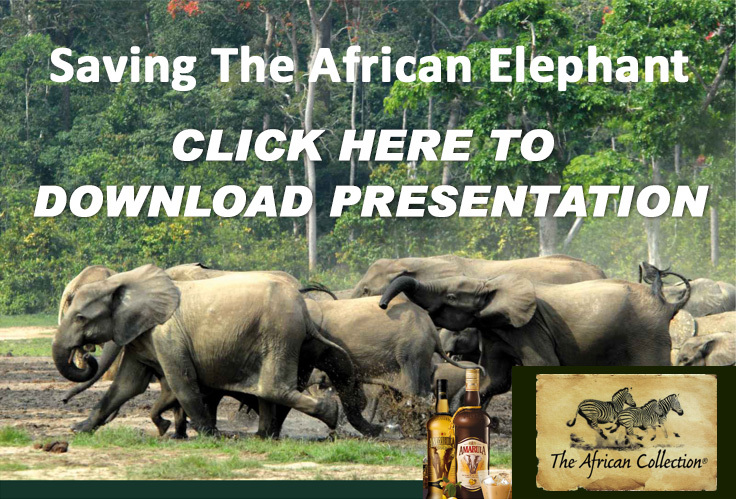 This encouraged them to accept the presence of elephants, which can seriously damage crops. South Africa’s elephants were strictly controlled in the Kruger National Park, prior to 1990. Culling controlled numbers, the ivory was legally marketed, and meat processed in modern abattoirs. Botswana too had flourishing herds. 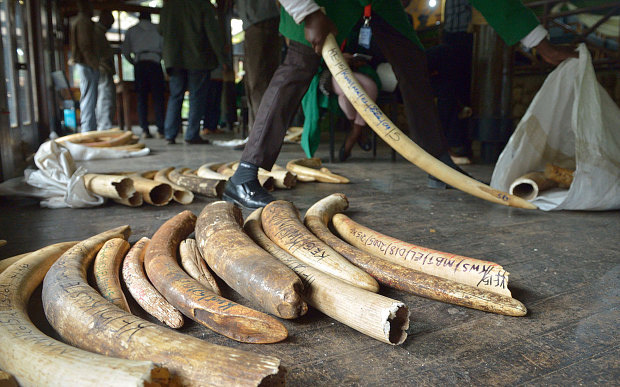 These countries believed that an end to the ivory trade means considerable economic loss. In South Africa, elephants in the Kruger National Park, which numbered only 10 in 1905, increased to a level which threatened large-scale vegetation changes. This in turn would affect not only the elephants, but also other animals and their habitats. The authorities decided that the population should be held at 7,500. To implement this, scientists set a cull quota of several hundred a year. Family groups consisting of females and young were darted from the air with an overdose of tranquilizer. Ground teams shot the prostrate elephants in the brain. The carcasses were then gutted and removed to an abattoir for processing. South Africa and Zimbabwe provided examples of elephant management where the species is not endangered. But elsewhere in sub-Saharan Africa, governments were confronted with massive ivory poaching, which had depleted and disrupted their elephant herds. Until this is halted and their elephant populations given time to recover, they are unable to introduce productive management schemes. To reduce clashes between elephants and humans, several measures were in use. Solid fences have limited use because they are expensive to build, and therefore cover only short distances. Deep, wide ditches are better. But, unless they are well maintained, the sides crumble and the elephants find a way across. Most effective is electric fencing designed to administer a sharp, non-lethal shock to any elephant that touches it. It has been used successfully to protect oil palm plantations in Malaysia, where elephants had been causing damage estimated at 500,000 dollars a year. It is relatively cheap and easy to erect and move. However, electric fencing cannot be used everywhere. Natural barriers can be created by buffer zones around reserves where crops unpalatable to elephants are grown and no water is available. Steep-sided canals can also serve as permanent ‘elephant ditches’. If necessary, crossing points can be made for elephants by building ramps to the water. Elephant tunnels under canals have not been successful. Elephant populations which have been fragmented into small groups are threatened by deleterious inbreeding. Scientists therefore propose to maintain the genetic pool by translocating elephants. It is sufficient to introduce a single, unrelated bull elephant in each four-year generation. Elephants and people have several things in common. We are social creatures. We care deeply for our children, and help our fellows in trouble. Our lifespans run to around 70 years. We even suffer from some of the same diseases. But while elephants ignore people hunt and kill elephants. People have created the elephant problem. It is up to them to solve it. At present, ivory dominates the situation. The lust for ivory is devastating Africa’s elephants. Unless it can be brought under control, elephants could become extinct in the coming century. It may seem incredible that several hundred thousand elephants could vanish so quickly. But we have only to recall the bison of the North American plains. There were possibly 70 million in the early nineteenth century. In the space of 50 years, wanton slaughter reduced them to a few hundred. In Africa, ivory poaching has already killed 500,000 elephants in the past 10 years, cutting their number by half. Yet ivory could be the elephants salvation if the profits from it went to local governments and people prepared to manage the herds for a sustainable harvest. 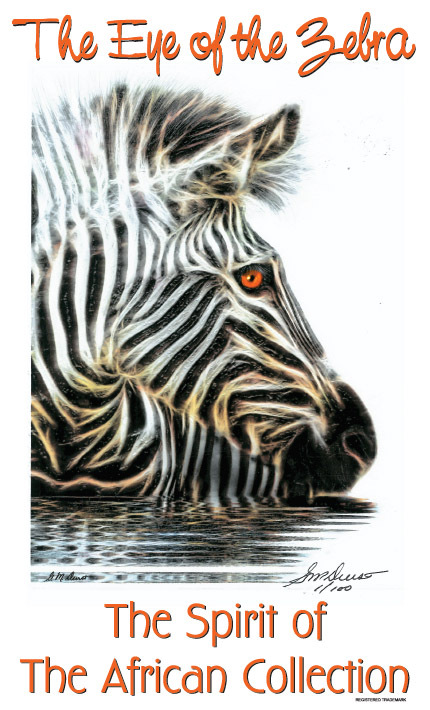 At present the profits go to poachers, traders, corrupt officials and profiteers, whose interest is in making money quickly, without caring about the future. Despite the present ban on international trade, and despite campaigns against the use of ivory, it is unlikely that this beautiful substance will ever be devalued. History has shown that it ivies with gold in human esteem. But while gold is mined and could theoretically become exhausted, ivory is constantly being produced. An elephant’s tusks grow exponentially throughout its life, so that the biggest ivory comes from the natural death of old elephants. Ivory is long-lasting, unlike skins and other animal products, which decay quickly after death. The ideal management strategy would be to allow elephants to die naturally and then collect their tusks. This is not feasible; but harvesting of ivory and other elephant products by official culling of an approved quota in each country offers a solution. The present situation shows that if a constant weight of ivory is taken, smaller and smaller tusks are removed and more and more elephants must die to produce the same weight of ivory. 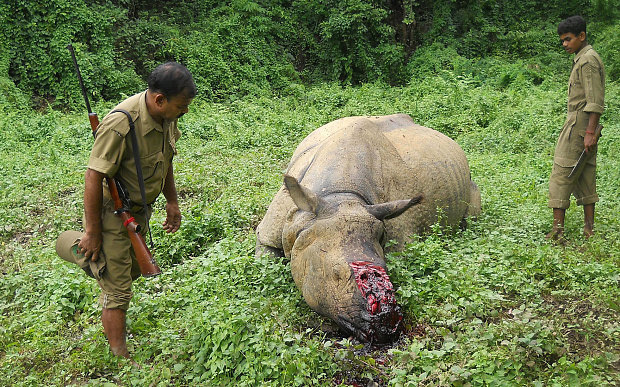 This is what is happening with the present systematic poaching. Harvesting only tusks above a certain minimum size could be successful, if the minimum allowed females enough reproductive years to maintain a corresponding increase in numbers. Elephant specialist have estimated that a compromise, whereby limits would be set both on the number of tusks harvested and on their weight, could approach the yield predicted for natural mortality. At present, such a solution is impossible in most countries. Massive poaching has disrupted the socal organization of elephant. They need time to recover before a sustainable, managed yield of ivory could be envisaged. Apart from ivory, there is the value of elephants as a tourist attraction, which brings in revenue. Visitors to East Africa, and to Zambia and Zimbabwe, are drawn especially by the sight of the giants of the Earth in their natural habitat. In Asia visitors enjoy riding on elephants in the jungle and watching them work and take part in colourful ceremonies. The plight of the African elephant has spurred the European Community to commit a large sum for a conversation programme. Various governmental aid organizations are also showing interest, and the general public has already donated large amounts to charitable organizations. It is still not sufficient. Bibliography and references to be supplied on completion of Gavin’s Dissertation. To get a very good idea of the tragic circumstances facing wildlife in Africa, please have a very good look at these copies of press releases and some of the potential solutions. 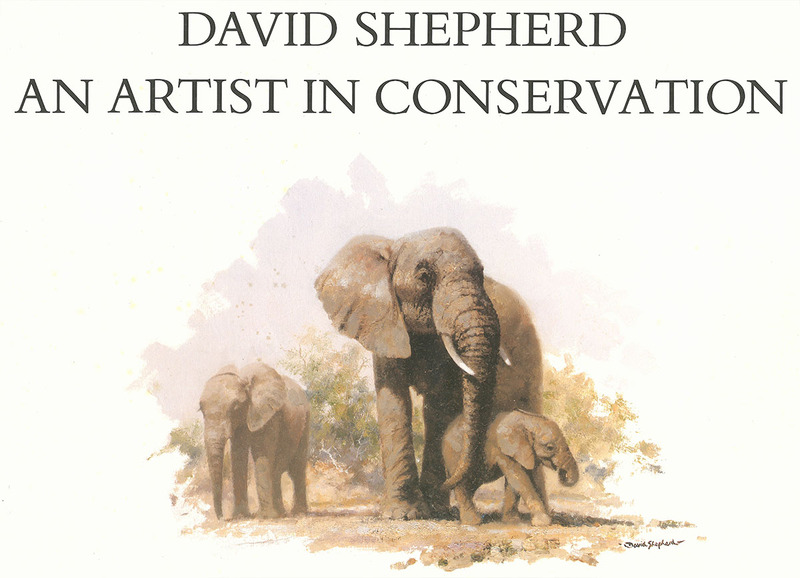 (Although there is some duplication of news in these press releases, we have included a large quantity, for you the reader to get an idea of the fight that is going on for conservation and preservation, particularly of Elephants who are most at risk of poaching.) Yes, there is an enormous amount of Bad News, but at least the world press is very aware of the struggle, and much more is now being done internationally to save the wonderful animals of the Earth”. Can Cites Halt this Gruesome Trade? At any moment somewhere in the world millions of migratory animals are on the move. From fleet footed antelopes to colossal whales and featherweight butterflies, an extraordinary variety of species embark on long and difficult journeys across land, through rivers and oceans, and in the air. Migration is at once complex and mysterious. How do animals manage to travel so far and with such navigational accuracy? What is the strange gravity that their ultimate destination seems to exert on them? No wonder the phenomenon has captivated us for thousands of years, ever since Palaeolithic hunter-gatherers learn to follow herds of hoofed mammals across the grassy plains of what is now Africa and Southern Europe. Migratory animals have long been powerful symbols of change and renewal in human cultures. These seasonal events serve as a reminder that, to quote poet Ted Hughes (1930 – 1998), “The Globe’s still Working”. However, it is only in the last 150 years, and the past few decades in particular, that zoologists have really begun to reveal the hidden secrets of this fascinating animal behaviour. Rapid developments in consumer electronics and mobile communication are today driving a revolution in migration studies. 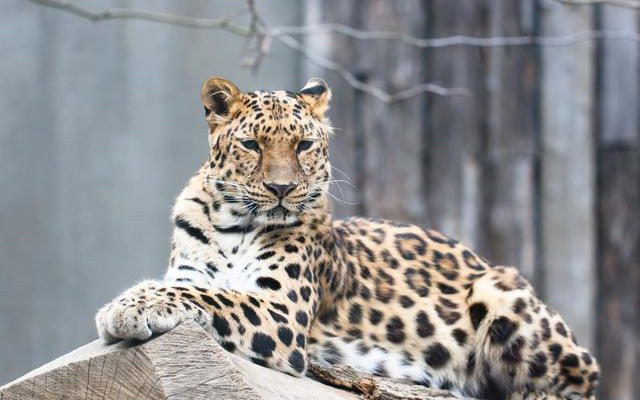 Satellite telemetry, which enables researches to pin-point the location of an animal tagged with a radio transmitter, is now so advanced that it is practical to follow the movements of induvial creatures, almost anywhere on the earth’s surface, virtually as soon as they happen. The sooty shearwater, a globetrotting seabird, has been tracked across the entire Pacific Ocean as it traced a huge figure-of-eight pattern on a 64,000-km (39,800 mile) round trip from its nesting site in New Zealand. Beneath the waves, a leatherback turtle was monitored for 21 months on the longest recorded migration of any aquatic species, while a great white shark tagged off the coast of South Africa proceeded to swim over 20,000 km (12,400 miles) to Australia and back again in less than 9 months. Data like these are helping scientists to piece together hitherto poorly understood animal journeys. Migration exists in a plethora of forms, from restive armies of caribou marching across the Arctic to the lonely odyssey of a tiny hummingbird over the Gulf of Mexico. But if one thing unites all migratory animals, it is the fight to survive. Migration is not nearly as dangerous as one might expect – it is a means of staying alive, after all. The participants have evolved sophisticated ways of reducing the risks so that, although some undoubtedly will perish, as many complete the trip as possible. This dissertation is a celebration of the greatest travellers in the animal kingdom. It also suggests how to experience some of them at first hand. Properly managed, ecotourism can make an important contribution to the struggle to save threatened species, so your own pilgrimages may play a small part in their conservation. A huge research effort is devoted to migration, yet our grasp of this endlessly fascinating subject remains patchy at best. Part of the problem is that migration takes many forms. It is much more than a simple trip from A to B, and migratory journeys are as varied as the animals that perform them. Some of the most intriguing questions in migration studies are how animals get ready, know when to set off and where to go, and navigate without getting lost. By monitoring the changing fortunes of migrant species, we can learn much about the health of the environment. Migration may be one of the great wonders of the natural world, but as a biological concept it is surprisingly fluid and elusive. Even today, there is no universally accepted definition. Animals make all kinds of different movements – short and long, seasonal and daily, regular and once-in-a-lifetime, highly predictable and seemingly random. It is not always easy to decide which ones are true migrations. The classic idea of migration – and certainly the most widely held – is of flocks of birds flying north and south between separate breeding and non-breeding ranges in tune with the ebb and flow of the passing seasons, or pods of whales travelling to far away feeding or birthing grounds. Many species from diverse animal groups do conform to this general migratory pattern, but it represents only one type of migration. There are numerous others, including journeys between east and west, complex circuits of land and ocean, seasonal trips up and down mountains, and vertical movements through the water column of seas and lakes. 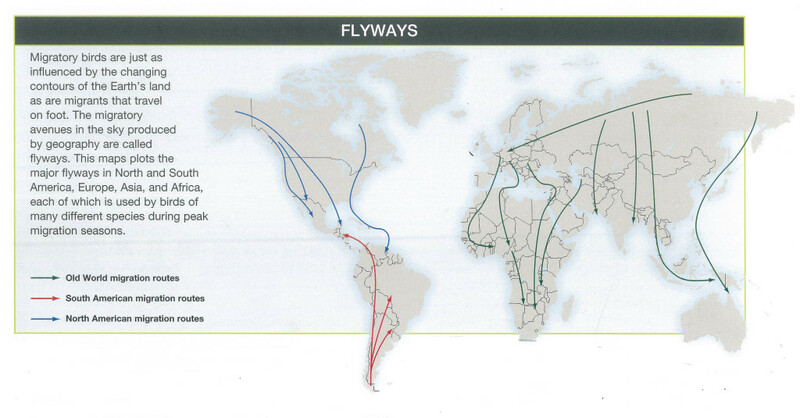 In addition, members of a particular species may follow a wide variety of migratory routes, and in some migrations only a portion of a species’ population may be involved. So, migration has a wealth of meanings. However, for the purposes of this dissertation, it is categorised as a journey with a clear purpose from one area or region to another, often following a well-defined route to a familiar destination, and often at a specific season or time. Any living thing that takes part in a migration is known as a migrant. Those that do not are said to be resident or sedentary. Put simply, migration is crucial for survival. It has evolved to enable animals to spend their life in two or more different areas, usually because a lack of food or a period of extreme weather makes it impossible to remain in the same location permanently. Other common reasons to migrate include: to find water or essential minerals; to hunt for a mate; to give birth, lay eggs, or raise young in a safe place; and to avoid predators or troublesome insect parasites. 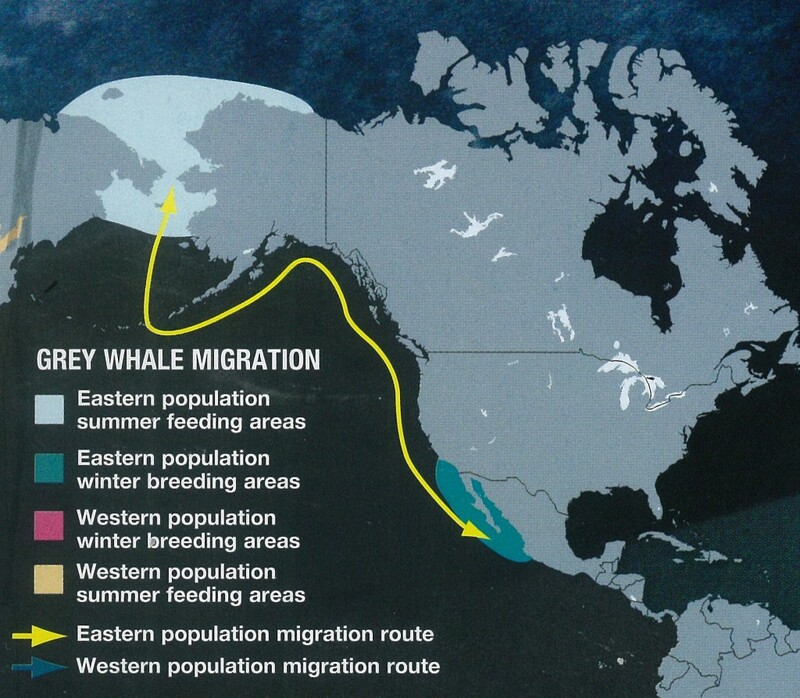 Animal migrations may be driven by several factors simultaneously. If an animal is to remain in situ when conditions become less favourable, it has 3 main alternatives to migration, at least in theory. First, it could adopt behavioural changes, such as in its diet or the shelter it uses. Second, it could undergo morphological (bodily) changes, by growing thicker fur or plumage for instance. Third, it could fall into a deep sleep, called torpor or hibernation – this is how many rodents, bats, bears, frogs, and toads cope with inhospitable winters. Amphibians and reptiles endure droughts in a similar state of dormancy, known as aestivation. Insects, too, are able to enter a kind of suspended animation, the diapause to live through spells of harsh weather. In practice, however, such strategies are not a realistic proposition for large numbers of animals, which forces them to migrate instead. It is probably best to regard some routine animal journeys as “almost” migrations rather than migrations in the strict sense of the word. For example, during the breeding season many parent animals temporarily leave their young to go on feeding trips. These sorties last up to a day in the case of seabirds such as boobies and gannets, or about 3 to 5 days in seals and walruses. Land carnivores, including wolves and spotted hyenas, are also long-distance commuters while they have offspring to provide for, frequently travelling dozens of miles to bring back fresh meat for their hungry cubs. The earth’s movement and orientation in relation to the Sun govern the planet’s seasonal cycles, which have a profound impact on wildlife. 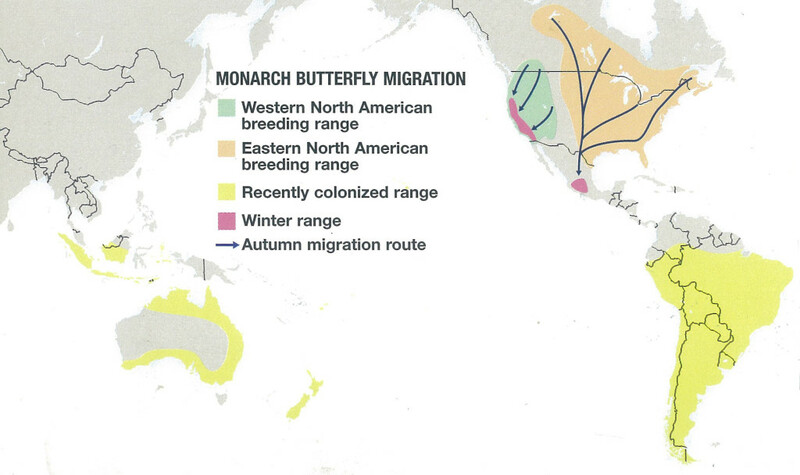 These changing seasons drive the migration of many species. Areas that provide a good living in summer become hostile in winter, pushing whole communities of animals to find more amenable conditions elsewhere. Many birds that breed in the northern hemisphere fly south for the winter, especially those that rely on insect food. They include a wealth of waders and waterfowl, together with vast numbers of passerines, or perching birds. To take Europe as an example: approximately 215 bird species migrate to sub-Saharan Africa after the breeding season, as part of a late-summer exodus that involves an estimated 5,000 million birds. On the other side of the globe, more than 300 species of birds make the trip from north to south America. Likewise, many birds from northern Asia spend the winter in the Indian subcontinent or the tropical south-east; a few, such as spine-tailed swifts, even get as far as Australia by island-hopping through the Indonesian archipelago. Bird migration in the southern hemisphere is, broadly speaking, a mirror image of that in the north. Seasonal north-south movements are commonest in birds, although they do occur in other animal groups particularly mammals (caribou, polar bears, and certain bats) and insects (various butterflies, moths, and dragonflies). In oceans, the best-known latitudinal migrants are whales, seals, and walruses. Whales, despite their status as long-haul travellers seldom cross the equator. Instead, they remain in one hemisphere, passing the summer in high latitudes and retreating to lower latitudes for the winter. Climbing a mountain is comparable to making a much longer journey towards the poles, because the air cools with altitude by about 6.5°C per km (3.5°F per 1,000 ft). The decreasing temperature creates a succession of microclimates, each with characteristic habitats, which montane species used to their advantage. They migrate upslope in spring, and then downslope in the autumn. This is known as altitudinal, or vertical, migration. There comes a time when animals must find a mate, and hunt for a safe place for their precious eggs or offspring to develop. Reproduction is a critical stage in the life history of any living creature, one which compels many species to make a special migration. In some cases, it will be their final journey. There are other reasons to migrate: return to water, return to land, ruled by tides. Not all animal journeys are in response to seasons – some lack a fixed destination or route. Holy unpredictable, these movements include itinerant wandering, large-scale invasions, and spontaneous flights to escape bad weather or volcanic eruptions. Sometimes pioneering individuals encounter ideal living conditions and remain in new territory as colonists. In essence migration is about being in the right place at the right time, and so migratory species need to have some form of in-built clock. Accurate time-keeping allows an animal to keep in step with changes in the outside world, and to begin and end journeys on cue. It is also essential for successful navigation. Migration is unforgiving on those who take part. In can be a relentless struggle and often puts animals under enormous stress, pushing their metabolism and other body processes to the limit. The odds might seem to be stacked heavily against ever reaching the destination. But the reality is that, generally, most migrants do arrive unscathed, thanks to a suite of physical and behavioural adaptions. The forces of nature offer welcome assistance to tired migrants. Insects and land birds ride tailwinds and circle upwards in thermals, seabirds catch the up-draughts created by waves, and turtles and fish are pulled along by ocean currents. As a result, the earth’s prevailing winds and currents exert a powerful influence on the timing and direction of migratory journeys. Most migrants are creatures of habit that have a tried and tested route map. Rarely is this a straightforward line drawn directly between two points. Migratory journeys are shaped by the physical geography of the land and ocean, so looping routes and diversions around major barriers are common, and the outward and return legs may be different. Animals have evolved highly efficient direction-finding systems, in which visual clues often play a central role. Migrants look for familiar geographical features, orientate by the Sun, and interpret the movement of stars in the night sky, enabling them to steer the right course over great distances with pinpoint accuracy time after time. Every migratory animal has a range of orientation mechanisms, many beyond the realm of human perception. Some species find their way by smell, taste, or sound. Others analyse subtle changes in water quality. Most remarkable of all is the ability to orientate by sensing tiny variations in the earth’s magnetic field. The miracle of migration is that it is instinctive. A migratory animal’s brain is hard-wired with a pre-set “program” that tells it to proceed in a specific direction in a certain way at a given moment in time. Naturally there are exceptions, but in general most species are born migrants, inheriting a full set of instructions from their parents that will in time enable them to complete the task. Human beings first became aware of animal migration in the stone age, since when it has aroused a mixture or curiosity, wonder, and even religious fervour. Every society developed stories to explain the mysterious workings of this natural phenomenon, while rituals and festivals grew up to mark the endless comings and goings of migratory animals. Migration is a dynamic, constantly evolving process. Although individual migrants adhere to a predictable route and routine, their species’ migrational patterns will, over time, alter in response to changing threats and opportunities in the world around them. Migration is but one example of the relentless adaption of species to their environment as they compete for living space and resources. Our understanding of animal migration has come a long way. Now the journeys of migrants as small and fragile as dragonflies can be tracked in great detail using sophisticated transmitters and data loggers, while new analytical techniques let scientists delve into the chemical make-up of migrants themselves. Nature sees to it that migratory species and cycles persist despite the dangers they face. But humans have upset the status quo almost overnight in biological terms by dramatically increasing the risk. Animals are confronted with extreme hunting and fishing pressure, a wealth of human-made obstacles, and rampant habitat destruction. Hunting is one of the oldest forms of human interaction with wildlife, but what has changed during the past 200 – 250 years is the intensity of the threat and the number of species at risk. Many of the megafauna alive today, including elephants, rhinos, bison and whales, very nearly didn’t make it into the latter half of the twentieth century. Buccaneering whaling captains competed to see who could catch the most, while big-game hunters believed that their quarry existed in “infinite numbers” and amassed huge bags on their trips; a single page of a South African control officer’s log book for 1908 recorded the shooting of 996 rhinos. Smaller species of game were not spared either. The mass migration of springbok across the plains of Southern African used to dwarf that of east Africa’s wildebeest, until white settlers shot so many that the Trekbokken (as the annual spectacle was called) fizzled out. Now it exits only as a distant folk memory. Herds of wild springbuck that were formerly million strong rarely number more than a few hundred today. We should know better in the 21st century, yet still the carnage continues. The roll call of migratory species currently threatened by excessive harvesting includes large tuna, sturgeon, and sharks; Atlantic cod and several of its relatives in the order Gadiformes; 6 of the world’s 7 species of marine turtles; numerous gamebirds and waterfowl; and Asian antelope such as saiga and chiru. Sometimes the victims are caught unintentionally, for example, it is estimated that 100,000 albatrosses are killed each year on longline fishing hooks set for tuna. That is one every 5 minutes. Wilderness is at a premium in our increasingly crowded world, leaving less space for animal migration to continue unimpeded. On land, migrants as large as elephants and small as toads are finding their ancient routes blocked by fences, highways, and urban sprawl. 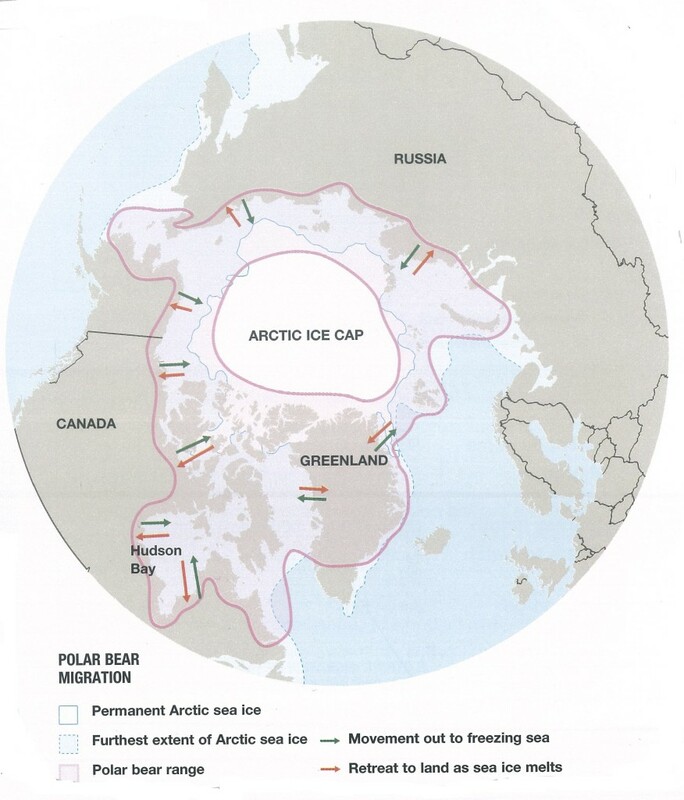 Nowhere is sacrosanct – even remote tracts of High Arctic are becoming cluttered by oil and natural gas pipelines, which drive a wedge through the traditional pathways followed by caribou. In the skies, migrating birds have to contend with lethal powerlines and dodge the gleaming forests of wind turbines that have sprouted on hilltops and in coastal waters. There is growing evidence that telephone masts and radio and TV transmission towers pose an additional danger: their flashing lights, and the magnetic radiation they produce, seem to impair bird’s sense of direction. One of the main reasons migratory animals feature prominently in lists of endangered species is their need for interconnecting corridors of suitable habitat to enable them to move from one piece of their range to another. At a local level, migratory pathways can be erased by something as simple as the removal of a wood, meadow, pond, or ditch. At a reasonable level, there is wholesale conversion of natural, seasonal habitats to new uses. 35% of the earth’s land surface has already been usurped by agriculture. About a further one-third is classed as urban. Rivers have been dammed, diverted, and drained. This is one of the greatest ecological changes in the planet’s history, and it has left migratory animals particularly mammals, with vast no-go areas. Part of the problem is that many national parks and reserves were planned and created long before we knew the location of important migratory corridors. A random patchwork of small, isolated refuges is not enough – what is required is an interconnected network of protected areas in both public and private ownership. Only a global approach to conservation can protect migratory species that cross international and regional boundaries. Climate change is set to become the most severe threat to migratory species. Rising temperatures and increasingly unpredictable weather have begun to damage the seasonal habitats used by migrants and are disrupting long-established migration patterns. It remains to be seen if we have the willpower to reverse this potentially catastrophic process. The world’s land animals have undertaken epic migrations since the immemorial. They may trek for weeks before finally arriving at a safe haven, across such unfriendly terrain as boggy tundra, ice sheets, hot deserts, rocky mountains, or even active volcanoes. Unlike aquatic creatures, which hitch a lift on fast-flowing currents, or airborne travellers that ride the wind, terrestrial migrants must journey on foot. As a result, their excursions tend to be shorter than those by water or air, but the sheer number of animals on the move together is often astounding. The origins of the Convention on the Conservation of Migratory Species of Wild Animals (CMS) can be traced back to the UN Conference on the Human Environment (Stockholm June 1972). The main outcome of the conference was the decision to establish the United Nations Environment Program (UNEP), but delegates also recognised the unique needs of the world’s endangered migratory species and agreed that an international instrument to protect them and mitigate the threats they faced was necessary. The government of Germany accepted the mandate to lead the negotiations to conclude an international treaty to conserve migratory animals. With support of the IUCN’s (International Union for Conservation of Nature) Environmental Law Centre, officials of what is now the Federal Ministry of the Environment, Nature Protection and Nuclear Safety first set about composing a draft text. This was finally agreed and signed on 23 June 1979. It is because this final negotiation meeting was held in Bonn that CMS is also known as the Bonn Convention. Because their habitat requirements are greater, migratory animal species are generally more at risk of becoming endangered than sedentary ones. They need breeding grounds for reproduction and to raise their young; they need different sites to spend the winter; and they also need staging posts along their migration routes. All of these sites must provide food and shelter and if any link of this chain breaks, the chances of the animal’s survival are greatly diminished. As well as facing natural barriers and hazards such as mountain ranges, deserts, oceans and predators, migratory species have to overcome further obstacles thrown in their way by mankind. CMS has a distinct and vital role to play in ensuring the survival of migratory species, a unique element of our shared natural heritage. Surely no other group in the animal world better defines the free spirit of migration than that of the birds. Many species travel half the world, twice yearly, to breed where food is plentiful and overwinter in warmer climes. Some swallows famously migrate from the Arctic Circle to the Antarctic always returning to the same nesting site. For any species, the route is fraught with danger. If they are not shot or eaten they risk exhaustion or being blown off course by freak weather. 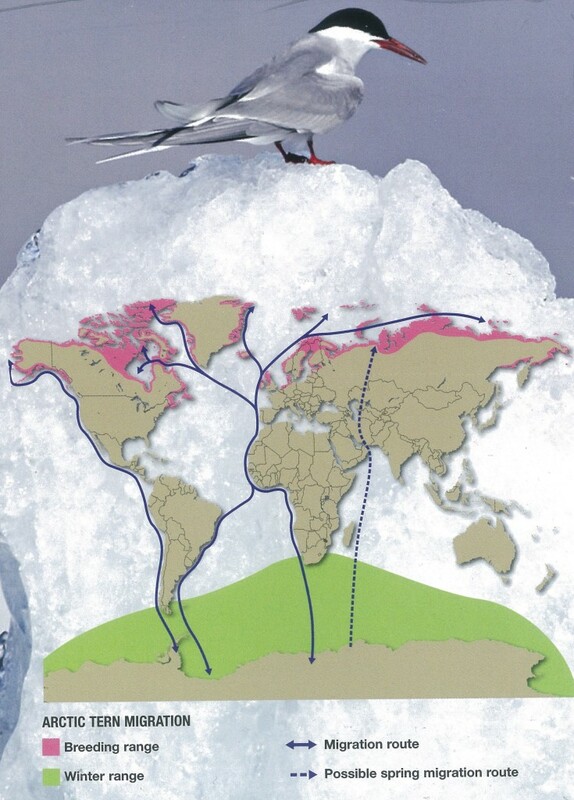 In addition, global warming is dramatically altering the migration routes of many birds, further heightening the threat to their survival, as they are forced to undertake evermore arduous journeys. The great land migrations speak to the romantic in us all: vast number of elephants, wildebeest, zebra crossing seemingly endless plains to reach, eventually (and not for all) water and food and a place to rest. These animals, often the largest species, arguably come into the greatest conflict with man, traversing his invisible borders and travelling into the hands of the poaches who lurk in less protected areas. By the very fact of there being migratory, these species risk falling between individual countries’ efforts to protect them. As a result, and until relatively recently, migratory species have suffered from a multiplicity of mortal dangers more than sedentary creatures. Efforts by organisations such as the CMS are beginning to bear results. An impressive animal that very nearly suffered the same fate was the North American Bison, that once roamed the grasslands of North America in massive herds. Many millions of Bison once thundered across the plains. These massive animals, characterized by their long, shaggy brown coats, have poor eyesight but acute hearing and an excellent sense of smell. Today there are relatively few Bison still in existence. The few are now on private lands, and public lands that include environmental and government preserves . WILDLIFE DISASTER “The world is facing the biggest extinction since the dinosaurs, with seven in 10 mammals, birds, fish, amphibians and reptiles wiped out in just 50 years, a new report warns.The latest Living Planet report by the World Wildlife Fund (WWF) and the Zoological Society of London (ZSL) estimates that by 2020 populations of vertebrates will have fallen by 67 per cent since 1970.Extinction rates are now running at 100 times their natural level because of deforestation, hunting, pollution, overfishing and climate change.The largest ever analysis of 14,152 populations of 3,706 species of vertebrates from around the world showed a 58 per cent fall in animals between 1970 and 2012 – with no sign that the average two per cent drop in numbers each year will slow. “For the first time since the demise of the dinosaurs 65 million years ago, we face a global mass extinction of wildlife,” said Mike Barrett, director of science and policy at WWF-UK. “You can see it happening all around. I haven’t seen a living wild hedgehog in the British countryside for years, and you used to see them all the time. “People, business and the government need to act now to make the world more sustainable. We have an intergenerational responsibility. “But we can stop this. While on the one hand we’re the first species to change the planet, we’ve also never had a better understanding of how environmental systems work and how forests, oceans and climate all interact. The report’s authors looked forward to the date of 2020 because that was the target set by the United Nations to halt biodiversity loss. But the researchers say that that almost certainly will not be met and argue that the world is facing its sixth mass extinction in its history, where 90 per cent of animals could be lost. Populations that have been impacted by human activity include African elephants in Tanzania, which have seen numbers crash due to poaching; maned wolves in Brazil, which are threatened by grasslands being turned into farmland; and European eels have declined due to disease, over-fishing and changes to their river habitats. Wildlife is also being hit by climate change, pollution, and over-exploitation of natural resources, the report warned. By 2012, the equivalent of 1.6 Earths were needed to provide the resources and services humanity consumes each year. The report also adds more weight to calls for a new geological epoch to be created which recognises humanity’s impact on the planet. The International Union of Geological Sciences is currently deciding whether to approve the term Anthropocene to take over from the current Holocene. Marco Lambertini, director general of WWF International, said: “We are entering a new era in Earth’s history, the Anthropocene, an era in which humans rather than natural forces are the primary drivers of planetary change. “Across land, freshwater and the oceans, human activities are forcing species populations and natural systems to the edge. “We completely depend on nature, for the quality of the air we breathe, water we drink, climate stability, the food and materials we use and the economy we rely on, and not least, for our health, inspiration and happiness. However overall terrestrial species, which are found in habitats ranging from grasslands to forests, have seen populations drop by two-fifths (38 per cent) since 1970. Freshwater species are faring even worse, with declines of four-fifths (81 per cent) between 1970 and 2012. Prof Ken Norris, director of science at ZSL, said: “Human behaviour continues to drive the decline of wildlife populations globally, with particular impact on freshwater habitats. Africa’s elephant population has crashed by an estimated 111,000 in the past decade primarily due to poaching. 2016 estimates suggest there are 415,000 elephants across the 37 range states in Africa. The Maned wolf, along with other large mammals including the giant anteater, is threatened by the increasing conversion of grasslands into farmland for grazing and growing crops in the Brazilian Cerrado and only 23,600 animals remain. The Hellbender salamander underwent population declines of 77 per cent across five locations in Missouri between 1975 and 1995. Degradation of habitat from the effects of agriculture and the recreational use of rivers is believed to be the main cause of the decline. Orca populations in European waters are under threat from persistent organic pollutants (POPs). Despite legislative restrictions on their use, these pollutants are still present in orcas’ blubber at levels that exceed all known marine mammal toxicity thresholds. Only 50,000 remain. 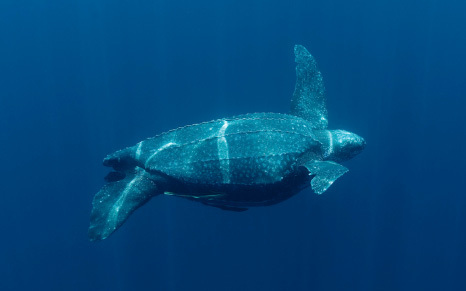 The leatherback turtle has become increasingly rare in both the tropical Atlantic and Pacific and only 2,300 breeding females are through to remain. It declined by 95 per cent between 1989 and 2002 in Costa Rica because of development in breeding grounds and fishing. European eel is declining due to disease, overfishing and changes to its freshwater habitat that impede its migration to the sea to breed, levels have fallen 95 per cent in the last 25 years. Yangtze river dolphin has declined largely due to incidental mortality by collisions with fishing vessels and entanglement in fishing gear and is now feared to be extinct. Just under 2,000 Giant Panda remain in the wild. Threats include human wildlife conflict and climate change. The species is listed as vulnerable although was taken off the endangered list last month. 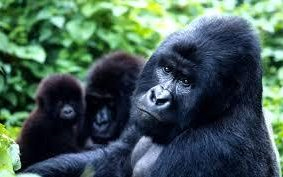 Fewer than 1,000 mountain gorillas now exist in Africa and they are one of the most critically endangered species in the world. They have suffered devastating population loss in recent decades because of habitat destruction and human wildlife conflict. 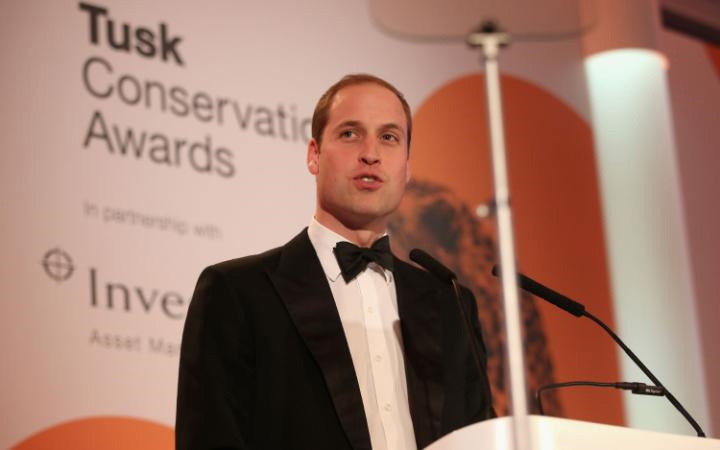 Prince William spoke tonight at the Tusk Conservation Awards, in support of the Tusk Trust, a charity of which he is a patron. He commended the bravery of rangers and warned of the impact of ivory poaching. Here we reproduce his speech in full. “It is a great pleasure to be here once again at the Tusk Awards for Conservation in Africa, now in its third year. As many of you know, I feel incredibly passionate about this cause and I’m grateful to you all for joining me to support Tusk this evening. In highlighting the urgency of the issue at hand – namely the protection some of the most beautiful and bio-diversity rich areas on this planet – it is important to take time to recognise the courageous work carried out on the frontline of conservation. Without people like Garth, Emmanuel and Edward – the true unsung heroes of conservation in Africa – we would be facing a very dire situation indeed. They have all had to face real adversity and opposition in their times, perhaps none more so than Emmanuel who was so nearly killed in an ambush two years ago. Yet, all these men are incredibly humble, and have shown extraordinary vision and commitment to their respective work. I am in awe of their achievements and we rightly pay tribute to them, because they do this for the sake of all of us… so that we all continue to have the opportunity and – perhaps more importantly – the right, to benefit from our world’s natural heritage. People often ask me why I am so passionate about this cause. There are many reasons, but one of the most obvious is because of the human impact. As the world’s population becomes more and more urbanised, an increasing number of people will grow up with little or no connection to the natural world. This will become a major challenge for conservationists. If people cannot see it, they will never learn to value it, or worse still will take little interest in looking after it. The planet and our natural resources is not something we can afford to squander. Africa continues to face unprecedented challenges in terms of poaching, driven by the burgeoning illegal trade in wildlife. Sadly, all too often rangers are out-resourced and out-gunned. Most of them never imagined that they would need to lay down their lives to protect their country’s heritage. But that is the harsh reality. Emmanuel’s own team in Virunga National Park have lost 140 rangers in the last decade. And only a few weeks ago, three rangers and one member of the Armed Forces were killed by poachers in one incident in central Africa, leaving behind 14 children between them. As I have said in the past, it is these children’s future that is blighted so tragically by the illegal wildlife trade and it is their birth right to their natural resources that is stolen. This is the sharp end of the human impact of one of the world’s most pressing conservation crises. Having said that – there is much to be positive about, as our winners and finalists have highlighted this evening. I share an optimism with all of you that we can win this battle. And we will win this battle by working together and by having a collaborative approach across the whole spectrum. There are few organisations that have as large an impact across the conservation sector as Tusk. And I would like to take this opportunity to thank Charlie and his wonderful team for their relentless contribution to the protection of Africa’s natural habitat. Through their extensive programmes, and behind-the-scenes counsel, they continue to make a significant impact in Africa year on year. I would also like to acknowledge the generosity of Tusks’ corporate partners, including Investec Asset Management, whose support has enabled us to celebrate the Award winners this evening. Thank you for your ongoing generosity. And finally, I would once again like to congratulate the winners and finalists for their incredible achievements. The number and quality of the nominations received this year show that the Tusk Conservation Awards are so important in highlighting the extraordinary work undertaken by some remarkable people across Africa. We can only hope to shine a spotlight on a few each year, but in doing so, we rightly continue to uncover some of the unsung heroes of conservation in Africa. “I am sure from all of the above, you have seen that I have a great passion for a few things, and particularly Wildlife. (except for those infernal Hunters). But there is a huge danger that we will lose it all, and our children and grandchildren will eventually only see the beautiful beasts and birds in Zoos. 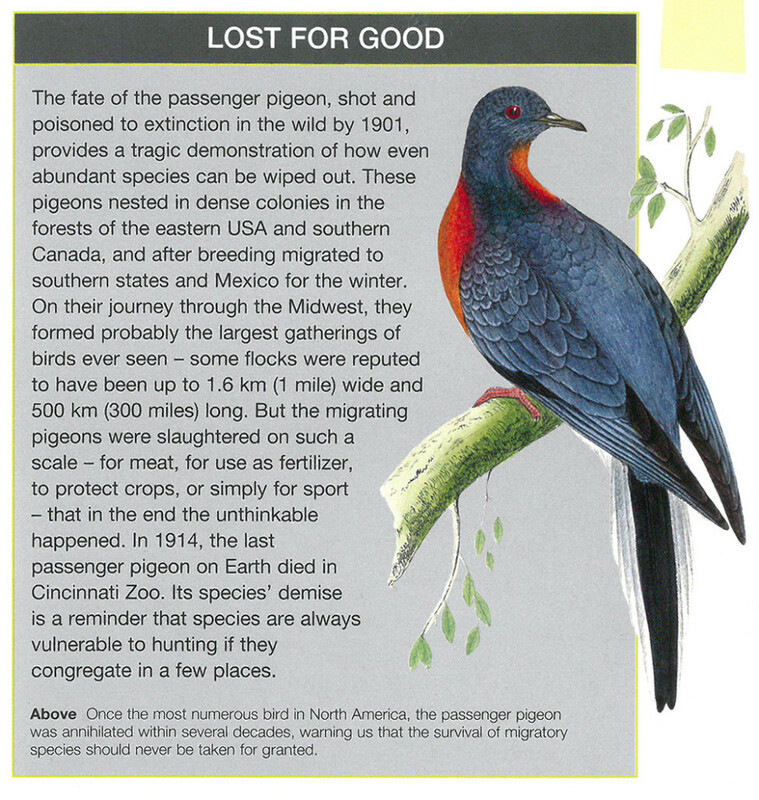 Every time that I re-read the story of the extinction of the Passenger Pigeon, I always get tears in my eyes. I am not an Animal Rightest — but I am a “Bunny Hugger” – and proud of it. Without trying to put a commercial gain aspect on this, please all of you act now to see the wonders of Africa, and spectacular herds in particular, in the locations described throughout this website. Please put a Safari Trip to the Best of Africa near the top of your bucket-list. Come out here to see solitary beautiful animals, small groupings, or perhaps the great spectacle of huge migrations. COME NOW – before it is too late, before they possibly disappear (or before you disappear) from the Earth. From this Site you have had a taste of the Hors D`oevres. Now it is time for you, your family, and your friends, to come out to Africa and taste the Main Course. You need to book well in advance. SEE YOU SOON. THE AMARULA JUICE IS WAITING. WRITE TO ME WHENEVER — THERE ARE NO SILLY QUESTIONS WHEN IT COMES TO THE COMPLEXITY OF AFRICA.